After falling short of raising the required $150,000 in its previous Kickstarter campaign the development team at True Bloom home once again launch their Sideclick remote-control media streaming adapter via the crowd funding website looking to raise a more affordable $80,000. In the previous campaign the team raised over $100,000 during the 30 day campaign to take the concept of their Sideclick media streaming remote-control companion into production. Sideclick has been designed to provide a single remote device rather than having to manage multiple remote controls for your audiovisual equipment. Sideclick is available in black or silver finishes and supports devices such as : Roku, Amazon Fire TV, Amazon Fire TV Stick, Google Nexus Player, and Apple TV. 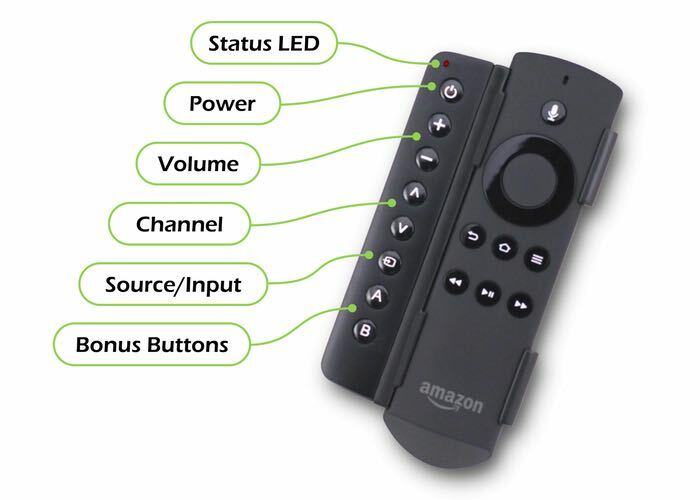 None of the popular streaming remotes have the ability to power on and off your TV or control volume. A 2nd or sometimes 3rd remote is always needed. 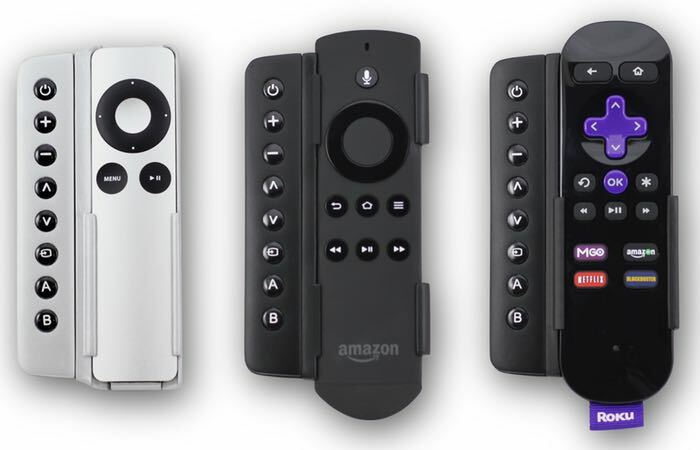 Sideclick is a universal remote attachment that snaps onto your streaming remote, allowing you to control the basic functions of your TV and your streaming device all-in-one. Sideclick uses infrared learning technology to program each button. Programming is as easy as pointing your device’s remote at Sideclick and pressing a few buttons. The entire process takes less than a minute. Any device using IR technology can be programmed as a button on Sideclick. So say you want to use the POWER button to power on and off your TV but you want to program Sideclick’s volume controls to work your sound bar or reciever, you can easily do so. For more information on the Sideclick remote adapter jump over to the Kickstarter website where it is now available to pledge for from $34.